Flashback time – to Camelot (a very silly place) many years ago when it was just a village and a child Arthur tells child Guinevere how he’s totally going to be king because a tree told him so. Local bullies, of course, disagree so it falls to Guinevere to be inspiration. He does find his sword – well half of it – and they carefully hide that it’s broken to the people. We get flashbacks showing Arthur becoming increasingly obsessed with putting the sword back together – neglecting his kingdom and Guinevere even her birthday party. Which is when she and Lancelot get close. Arthur decides to go looking for dagger, while Guinevere decides to go herself to find the dagger, using the magic gauntlet of weakness finding which Arthur hasn’t found yet because he’s too busy looking for the dagger to look for things that can help him find it. They enter the Dark One’s tomb and Guinevere is kind of action-y and nifty and in a life-or-death moment she kisses Lancelot. “Again”? Wouldn’t that require him to have been a hero already? David, you are the worst – not that I had a high opinion of the man who SACRIFICED A BABY (still not over that). Guinevere overhears and she wants to know where Lancelot is for VENGEANCE. Apparently, Lancelot has done terribad things way beyond merely kissing Guinevere. Of course David believes everything (and he sacrifices babies) and hands over the dagger box – without the dagger inside. Mary Margaret has taken is and given the dagger to Lancelot. And, no, she hasn’t consulted Emma either. (She also sacrifices babies). She could ask about so many thing but, being Her Sogginess, she asks if Lancelot still loves Guinevere. He does. They go to the Vault of the Dark One which Mary Margaret recognises from her vision of Emma crushing Mary Margaret’s heart (oh, Once Upon a Time, don’t tease me like that, it’s mean). They plan to put the dagger in the shrine for safekeeping –but Arthur has followed them and holds them at sword point, demanding the dagger. Mary Margaret hands over the dagger. Which is fake – which is when David appears because they decided that Arthur was all nefarious and planned for this. Arthur is horrified at his betrayal, David hits back with “you tried to trick me with a catchy title and a fancy chair.” My gods who is this man and what did you do to David? They take him back to Granny’s diner and plan to give the sword to someone worthy to lead. Lancelot nominates Guinevere – but all the other knights attack the diner, led by the magically compelled Guinevere. Lancelot realises he has been compelled, but he is arrested and thrown in the dungeons anyway. They don’t lock up the Charmings though – and use the magical sand on them as well (this is REALLY stretching the definition of what is “broken”). 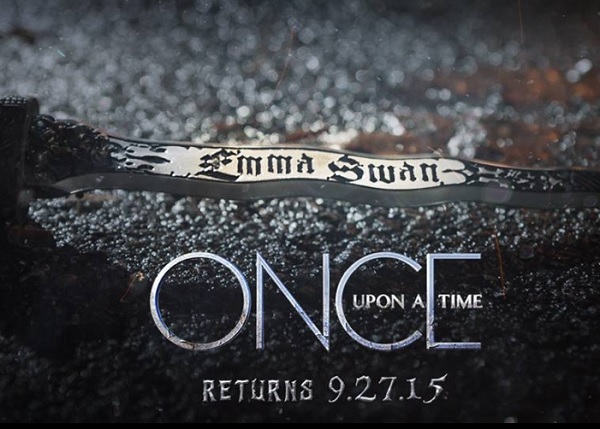 The newly enchanted Charmings then go to get the dagger from Regina where she’s been hiding it. Henry, with some input from Violet, leads Emma and Killian to a stable where they can rest without people around for Emma to cook (Killian’s grin over Henry’s explanation of Violet is fun and so cruel). Emma is very concerned about this but Killian is much more blasé about the normalness and instead wants to know more about Emma’s inner-darkness. Then to the present day, with Gold trying to convince Emma not to go evil. She still plans to make him a hero using her secret weapon: Merida. Emma has her imprisoned and pulls out her heart to compel her. She’s going to use Merida to make Gold brave. Oh my gods, the Charmings actually did something (beyond sacrificing babies), something useful! Something sensible! And something that is entirely soggy?! I am in shock! This episode made me impressed and respect the Charmings! Aaargh I feel unclean! And now any awful things they do will be blamed on the magic so I can’t hate them. Boooooo!